In The City in the Middle of the Night, a young girl is banished into permanent darkness, but she survives by befriending the creatures who live there. January is a tidally locked world, with a permanent day side and night side, and the human colonists live in the thin strip of twilight between the two extremes. Only one person has ever gone into the night and lived: Sophie, a shy girl from the dark side of town. Sophie’s bond with the native inhabitants of January may be the one thing that can save the entire human race. But she just wants to save her best friend Bianca, who’s hell-bent on launching a revolution. Sophie and Bianca team up with a group of smugglers, the Resourceful Couriers, to cross the Sea of Murder and travel across their world. But one of the Resourceful Couriers, a girl named Mouth, has a secret agenda of her own that could get everyone killed. “One of America’s most inventive writers has done it again: City In the Middle of the Night is a breathtaking work of imagination and storytelling, set in a world of originality, intelligence and empathy. Each page holds wonders, making the case for Anders as this generation’s Le Guin.” — Andrew Sean Greer, Pulitzer Prize-winning author of Less. 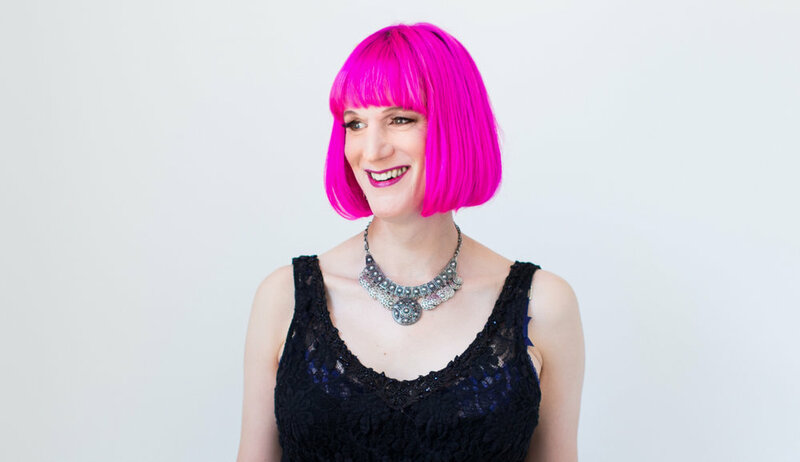 “I'm astounded by Charlie Jane Anders' imaginative powers and the scope of her storytelling. Again and again, I was struck by the richness of this world and the people in it. A stunning novel.” Edan Lepucki, author of Woman No. 17. “The City in the Middle of the Night is a wildly inventive, inventively radical, and radically subtle mad rush of a novel.” — Audrey Niffenegger, author of The Time Traveler’s Wife. “The City In The Middle of the Night reads like a classic from another timeline; it's the kind of pure, high-concept, far-future science fiction that presses all my buttons. This book has notes of Ursula K. LeGuin and Philip Pullman.” — Robin Sloan, author of Sourdough. Read what people said about All the Birds in the Sky here. Photo credit: Sarah Deragon/Portraits to the People. Download headshots for promotional use here. 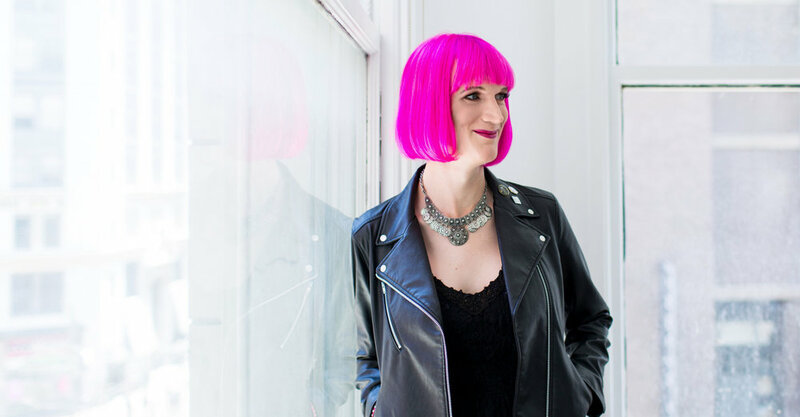 Charlie Jane Anders' latest novel is The City in the Middle of the Night. She's also the author of All the Birds in the Sky, which won the Nebula, Crawford and Locus awards, and Choir Boy, which won a Lambda Literary Award. Plus a novella called Rock Manning Goes For Broke and a short story collection called Six Months, Three Days, Five Others. Her short fiction has appeared in Tor.com, Boston Review, Tin House, Conjunctions, the Magazine of Fantasy and Science Fiction, Wired Magazine, Slate, Asimov's Science Fiction, Lightspeed, ZYZZYVA, Catamaran Literary Review, McSweeney's Internet Tendency and tons of anthologies. Her story "Six Months, Three Days" won a Hugo Award, and her story "Don't Press Charges And I Won't Sue" won a Theodore Sturgeon Award. Charlie Jane also organizes the monthly Writers With Drinks reading series, and co-hosts the podcast Our Opinions Are Correct with Annalee Newitz. I used to write for a site called io9.com, and now I co-host a podcast with io9 founder Annalee Newitz called Our Opinions Are Correct. I have published a ton of short fiction – way over 100 short stories at this point. I’ve stopped counting. My stories have appeared in Wired Magazine, Tin House, Conjunctions, the Boston Review, Tor.com, Lightspeed Magazine, McSweeney’s Internet Tendency, The Magazine of Fantasy & Science Fiction, Asimov’s Science Fiction Magazine, ZYZZYVA, Strange Horizons, Catamaran Literary Reader, Apex Magazine, Uncanny Magazine, 3 AM Magazine, Flurb.net, Monkey Bicycle, Pindeldyboz, Instant City, Broken Pencil, and in tons and tons of anthologies. “Fairy Werewolf vs. Vampire Zombie”, Flurb.net.